Chula Vista, CA. Friday 26 September 2014. 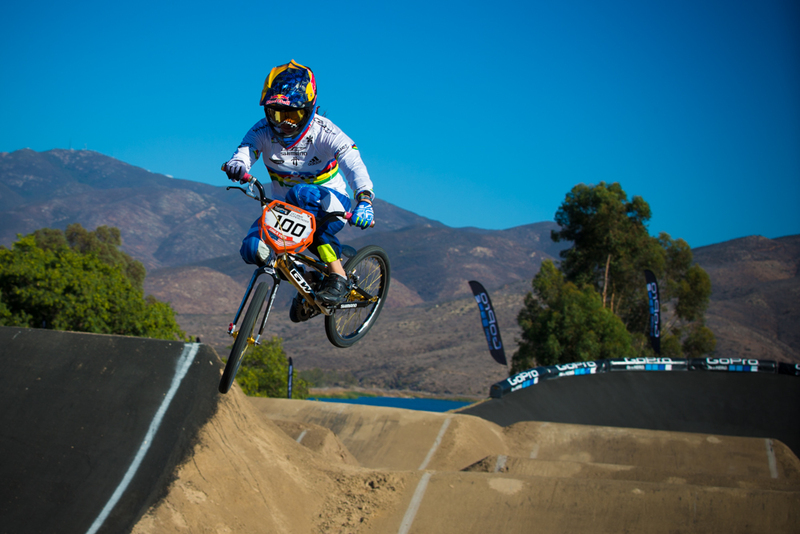 The final round of the UCI BMX Supercross World Cup in Chula Vista kicked off today with the Time Trials finals and the qualification races. Under sunny conditions Connor Fields (USA) and Mariana Pajon (COL) put in the fastest laps on a track that had big jumps and was a challenge for everyone who had not ridden it before. The incredible US Olympic training center in Chula Vista hosted the last race of the season and prepared the track nicely. Jeremy Rommel (USA) was one of the top qualifier in the Men class along with David Herman (USA) and Sam Willoughby (AUS) who looked strong out there all day. They’ll be meeting up with the top 16 in the overall standings and fill up the 64 men deep racing program. 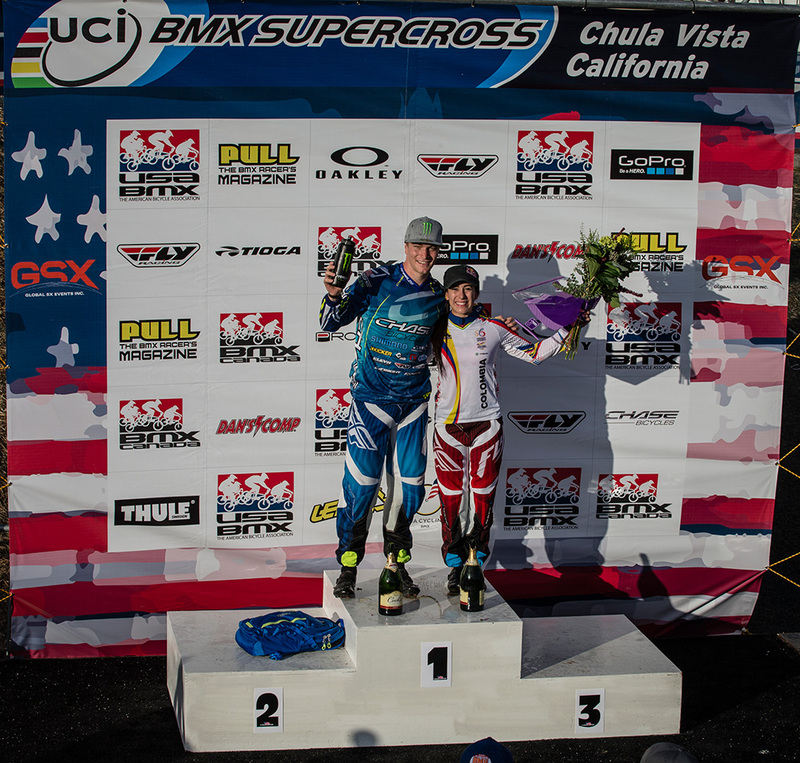 Alise Post (USA), Dani George (USA) and Lauren Reynolds (AUS) did win their three qualifying motos or got second and qualified highest out of all girls who entered the qualifying race. 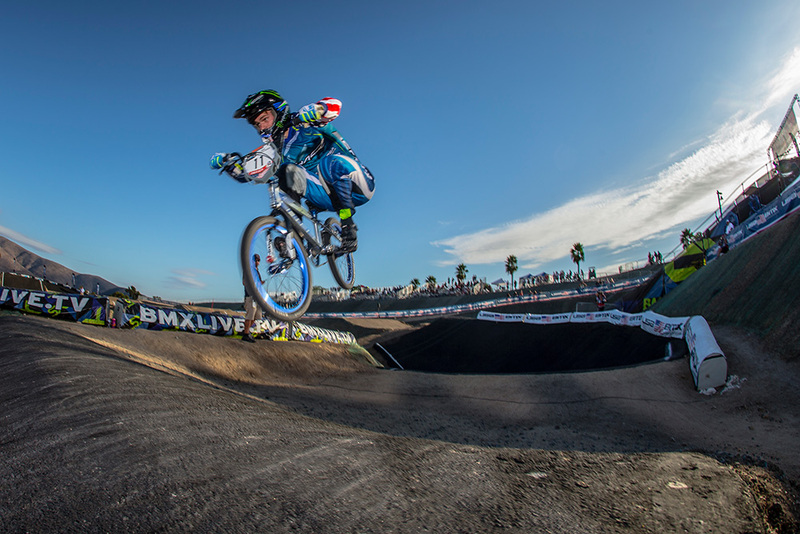 Things got exciting when the top ranked UCI BMX SX World Cup riders lined up for their Time Trials finals to show who could set the fastest time on the London Olympics replica track. Jared Garcia (USA) and Corben Sharrah (USA) showed their smoothness on the track but it was Connor Fields who used home advantage to win it. Felicia Stancil (USA) set a quick lap early on in the women class and sat in the hot seat until Mariana Pajon got on the track. Pajon mentioned that she really likes riding rhythm sections and believes the third straight was where she made up time against her competition to win the time trials today. She likes the track because she has good memories on the London track where she won the Gold medal. Although not in the title hunt she is really looking forward to the actual race tomorrow. Racing tomorrow starts at 1pm (PST).